presents the Secretary-General’s report on conflict-related sexual violence to the Security Council. The annual United Nations report documenting conflict-related sexual violence around the world today for the first time names some of the military forces, militia and other armed groups that are suspected of being among the worst offenders.The groups listed in the report include the Lord’s Resistance Army (LRA) in the Central African Republic (CAR) and in South Sudan, armed militia groups and former armed forces in Côte d’Ivoire, and the armed forces of the Democratic Republic of the Congo (DRC). “Conflict-related sexual violence is not specific to one country or continent: it is a global risk. 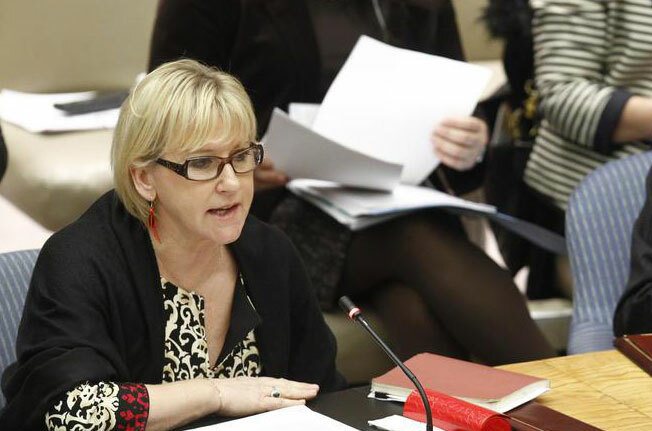 The terror of unarmed women facing armed men is age-old and universal,” saidthe Secretary-General’s Special Representative Margot Wallström, who presented the report to the Security Council in New York.